I’m a bit rubbish when it comes to using the right tools to apply my makeup. I had a clear out a few weeks ago and had so many applicators that should’ve been thrown out with my patchwork jeans in 2001 that it was time to do a new haul – and where better to turn to than my favourite cheap and more-than-just-cheerful brand, e.l.f. I picked up three things… a foundation brush, cuticle pen and blotting sheets, all for the bargain price of £1.50 each. Good foundation brushes are hard to come by – they need to be soft enough to not prick your face to death, hold enough product to enable you to apply properly and have enough bristles so you don’t end up with a streaky face. Considering this brush only set me back £1.50, it’s frigging amazing. It’s the same quality as another one I bought for about ten times the amount, is easy to hold, feels qualitative and washes up really nicely when cleaned with the e.l.f brush cleaner. I’ve always used cuticle pens as part of my manicure process as it enables you to apply a concentrated about of moisture to the flaky bits around your nails. The one I had before this cost about £8.00 and was an oil based pen, unlike this which is like a felt tip. You just have to ‘colour in’ around your nail and the formula is absorbed really quickly, leaving you with hydrated nails without the greasy bits. Here’s the science bit, which is very impressive: “Fortified with Vitamins E, A, C, Pro-Vitamin B5 and Aloe, this fast-acting complex deeply hydrates, nourishes and seals in moisture. 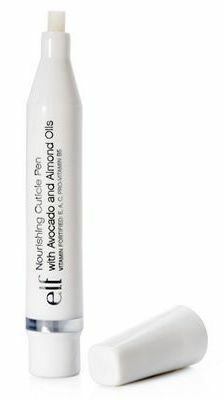 The key ingredients Avocado and Almond Oils help to condition nails and cuticles for improved appearance. The result is softer, easy to manage cuticles and healthy hydrated nails.” Now you don’t get a super noticeable result and the tip is sharp to use, but the pen does give instant relief and costs £1.50 so you can’t argue! Finally, I opted for some blotting sheets which have been a staple in my makeup bag for as long as I can remember. They basically remove any excess oil which builds up over the day when you blot them on your t-zone, meaning you don’t have to remove your makeup or fiddle around unnecessarily. These teeny sheets make such a difference if you’re going out after work. 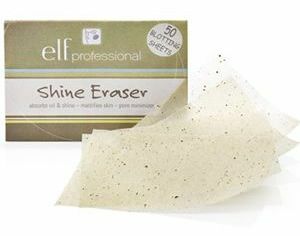 I’ve used practically every brand going and these are no different – you get 50 sheets for the bargain price of £1.50, they come in a cute container for slipping in your bag and easily blot the skank away from your skin. Now, what other bargains can I purchase…. Previous Post My Face or yours? I majorly stocked up on the e.l.f blotting sheets!Their studio line brushes are fantastic too. I've had mine for about a year and one is starting to fall apart at the ferrule but that's probably because I let water in there. The other, which I use almost daily is still perfect. Highly rate their kabuki brush too. So soft. For the price I'm just amazed at the quality of their products. I just keep going back! I really like their regular line eye brushes and studio line face brushes; hey are amazing for the price. (By the way, 'qualitative' shouldn't be used in that way). Why use blotting sheets when you can use normal tp?